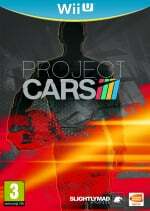 Slightly Mad Studios has confirmed it's bringing Project CARS to Wii U in 2012. The studio behind Need for Speed: Shift and Shift 2: Unleashed confirmed its latest racing project is on the way to Nintendo's next home console alongside PlayStation 3, Xbox 360 and PC. The game's description mentions several features Nintendo fans have been requesting for some time: user-generated content shared with — or sold to — a wide network of players, a cloud-based social network of leaderboards and more. Here's a video of the game running on PC. We'll have more on CARS as it happens. That looks crazy awesome. I can't wait to see how they use the Wii U's exclusive features with this. Controller will be great for creating things and could maybe get some good use during the races as well. Very interested in this one. holy moly. Us Nintendo people have be without HD games for way too long. can't wait to catch up with the rest of the world. What bothers me is all the news of this game or that game is/may be coming to the Wii U. EVERY game for due holiday 2012 should be Wii U, yet there's always the possibility that games like Tomb Raider, Resident Evil 6, GTA 5 etc. won't make it. Even if some people aren't fans of those franchises they still should be on the platform just for the simple matter of porting. I hope we don't have another GameCube on our hands when it comes to true 3rd party support. Looks good and is exciting because it's one of the few games we know to be coming to Wii U. Once we see Nintendo's Mario, Metroid, Zelda, etc as well as other notable 3rd party ports, however, NO ONE will care about this game anymore. That seems to be a something that happens at this stage in the history of every Nintendo console; we hear about games and are excited just because it makes the idea of new hardware that much more tangable, but in the end, we know we won't give games like this a second look. Shift 2 is very intense, this could be good! Looks awesome. I'm interested, hoping for more info soon. I'm at a lose of words. I wonder how it will look on the Wii U. That is played on a pc. looks a bit bland if you ask me, shift 2 had more personality & excitement. However, i could see a lot of potential use with the tablet controller in racing games. most obvious would be for it to act as a steering wheel, but the wii mote already did that anyway. but who knows what we'll see..
one other thing - that trailer is on PC perhaps, but there is no excuse for the Wii U version to not look at least just as good. The thing about tech for new consoles when they come out is, they need to be able to at least match current PC's performances and have the potential to go above and beyond current performances to keep up with the times. We all know the Wii U is Nintendo catching up to the HD world we live in, but it needs to also skip a generation power wise to catch up with the likes of microsoft & sony's next consoles. If Wii U can't match this trailer if not make it even better (which is a good looking trailer graphically) then I'll be sorely disappointed. i've got hope though based on the Zelda HD demo. Can't wait for some actual gameplay footage at E3 this year. Shift was a great game with some excellent tracks, but oddly, shift 2 looked quite inferior compared to Shift. I hope this isn't just going to be Shift 2 in discuise.